It May look like a Jungle out there but it is really the Adventure Of Your Life! I'll show you how to have a smile on your face and begin this positive adventure! Serving the community of spiritual seekers for more than 25 years. Profound Clairvoyant/psychic readings, Past, present and future, business, career and words from those that have past and gone on to the other side. Connecting your numerology and astrology to your readings. Hypnosis for removing what blocks you from having the sucessful happy life you desire! Reiki Sessions and classes for energy and physical healing. The help you need to heal yourself. Thought Field Therapy and Emotional Freedom Techniques reduce depression, trauma, allergies, physical pain, tiredness, increase vitality, and improve healthy life energy. 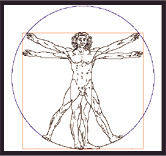 Meridian/Muscle Balancing - Lymphatic - Oxygen therapy - Radionics. 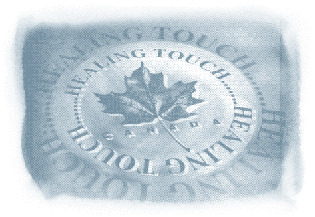 Healing Touch is founded on the premise that all people have the ability to facilitate healing through compassionate intent and the balancing of the human energy field. Research has shown that Healing Touch is effective in promoting relaxation, reducing pain, managing stress, speeding tissue and bone healing, strengthening the immune system, preparation for and follow up of medical procedures and supports the dying process. Feldenkrais and Core Integration bodywork, muscular therapy, body-oriented psychotherapy designed to assess the entire bodymind complex, patterns, and habits, to introduce somatic change strategies through a personal body/mind mastery training, 60/100 hours designed to introduce and sustain body improvement, fitness, and wellbeing. Program: principal exercises needed for everyday functioning. Feldenkrais awareness through movement lesson-exercises. Psychophysical exercises. Professional trainings also available. Tapes: Feldenkrais. Yoga. Tai Chi. Psychophysical Integration. Relieve Stress & Pain without Naturally without Drugs. 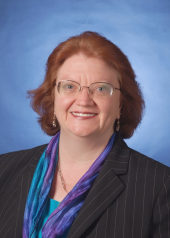 Developed by Elizabeth Barhydt, Ph.D, M.T. and Hamilton "Hap" Barhydt, Ph.D, these new techniques are a result of more than two decades of research and experimentation. The Barhydts founded Loving Life, a non-profit organization, in order to share their findings with the millions that suffer daily from pain. The organization's goal is to teach people how to relieve stress and pain while increasing their energy level and quality of life. Our 600 hour massage therapy training program is designed for those who wish to become a massage practitioner/therapist and be part of the holistic wellness community. Your education includes anatomy and physiology, massage techniques, TCM and we also have a student clinic open to the public for further training to lead you into the medical or spa areas. Financial assistance is available and we offer job placement assistance. Continuing education is also available. For healing of body, mind and spirit. 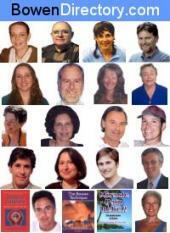 Learn how to heal from cancer and other diseases. We offer hands on healing/Reiki,hypnotherapy, spiritual counseling, cancer nutrition. 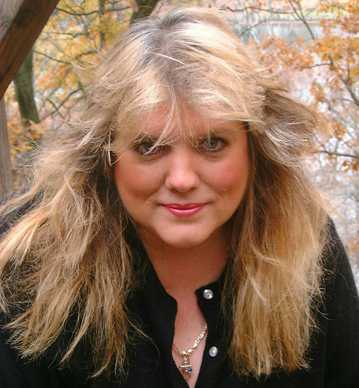 I also do angel card readings and spiritual communication. I specialize in helping people with cancer to heal. By using hands on healing and nutrition for the body, spiritual counseling for the spirit, and hypnotherapy for boosting the immune system. With all three there has been much success in lowering tumor markers and raising the red and white blood cell counts. For many cases it has stopped the cancer in its tracks. Nan Nelson is a licensed minister, reiki master and has spent many years working with abuse issues as well as the dying process. She brings compassion, a sense of humor and a safe place for her clients as well as students. She has worked in nursing homes, with drug and alcohol recovery centers, hospice and as an Activity Director in Nursing Homes. She was initiated in the traditional practices of Usui System of Reiki in 1986 by Shantaya Joy. Nan truely enjoys not only her work as a minister, but, her creative arts as well. 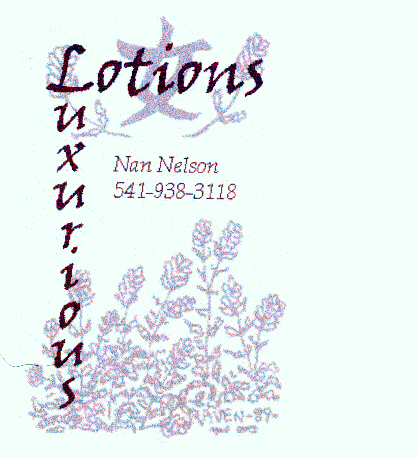 She produces skin care products, as well as quilts, beadwork and leatherwork. See webdisplay for skin care products. Using epidural injections in NYC are one of the most effective non-surgical pain treatment options available. It is a great option for times when normal over the counter pain medications are not providing the relief you need, or when the pain keeps coming back for an extended period of time. The injections have almost no unwanted side effects, and are far safer than surgery. Since they treat both the short term pain and the long term cause of the pain, this is one of the best options for addressing lower back pain. When you come into our offices our doctors will work with you to determine if this is the right treatment for your specific case. Any time that the nerves in the spine are being compressed or pinched, this can be a good option to consider. Since it is very safe, it is almost always a good idea to give it a try to see if it will work for you. Many people are surprised at just how effective it is on their back pain. If you would like to learn more about epidural steroid injections in Manhattan, NYC, New York please make sure you call one of our clinics. We will be happy to make an appointment for you to come in and be evaluated by our team of doctors. We look forward to helping you soon. The Crystal Clear Diamond Healing system teaches you the skills you need to harmonise mind, body and spirit. Serenity Healing Arts offers many forms of professional massage therapy, body work, spiritual guidance, alternative counseling, workshops, and intensives at our downtown Carson City office. The Seattle Rhinoplasty Center can be performed at the same time as a broken nose repair if a cosmetic surgery seattle change is desired. Typically, any cosmetic surgery is billed directly to the patient, and any functional or reconstructive surgery is billed to the patient’s healthcare insurance.